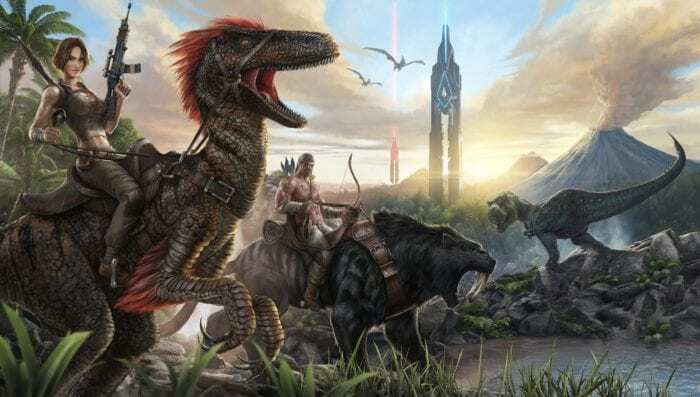 ARK – Surviving against nearly impossible odds is all the rage in gaming right now, but it becomes something quite unique when you throw dinosaurs and other massive beasts into the mix. Jump in with your friends as you start out as a naked person with a weird crystal in their arm, and build an defensive empire full of technology and dinos. Arma 3 -Combat simulators can be really fun, especially when you throw some friends into the mix. With a heavy emphasis on realism, tactics, and communication, you and your crew will find countless hours of fun in this PC title. Artemis – Artemis isn’t full of tons of action , or jaw-dropping visuals. but as you and up to five other players try to control a ship from your specific stations, the game can get quite interesting. Intelligence and communication are key in this experience, do you think you have what it takes to lead your ship to its destination? 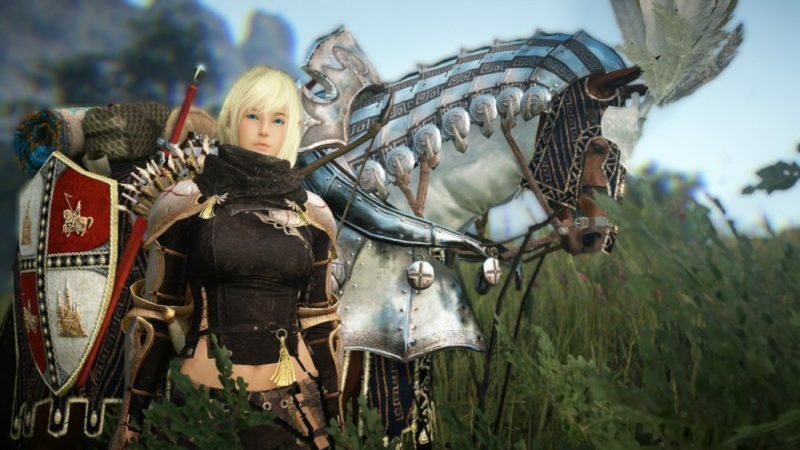 Black Desert Online – Black Desert Online is possibly the prettiest MMO to release so far, but it’s much more than eye candy for your powerful PC rig. It has a deep, rewarding combat system, world building elements, and tons of customization for you and your friends to get into as you explore a world full of mystery, magic, and tons of warriors. Borderlands 2 – Borderlands 2 still holds up as the best in the series so far, and it’s an absolute blast when you bring along a friend (or three). Shooting psychos in the face, running from Bullymongs, and collecting tons of sweet loot never gets old. After running through the main campaign, we recommend jumping into the various expansions, espcially Tiny Tina’s Assault on Dragon Keep. Civilization V – Building a civilization that stretches across the world is difficult enough on its own, but it becomes more interesting when you take two strong-minded individuals and have them work together. 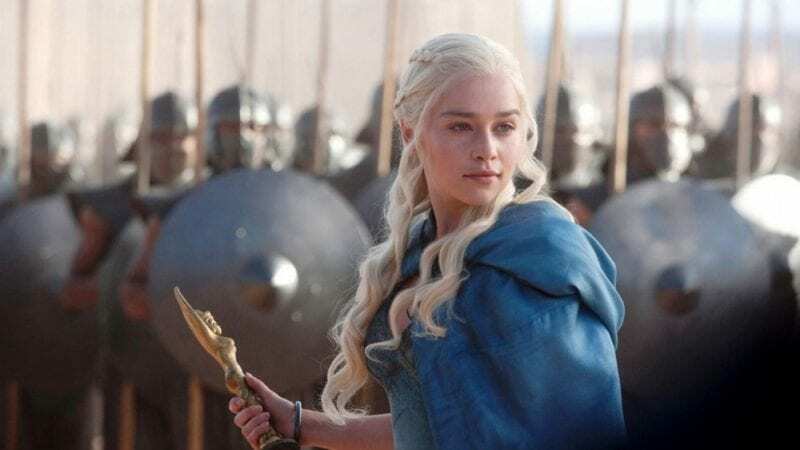 Team up with a friend and wage war on the rest of the planet as you seek to build the one kingdom to rule them all. Dark Souls III – Dark Souls is known for being an unforgiving, brutal RPG, but bringing along a friend has the potential to help out with all that dying you find yourself doing. We say potentially because they can screw you over and laugh as you watch your screen fade to black. Good times. Diablo III – Diablo III may have had a bit of a rough launch, but over time it’s grown to be a really fun action-RPG/hack and slash game. Teaming up with friends as you run through the story or push your luck in greater rifts, and collecting mountains of loot as you work to perfect your nephalim warrior never stops being fun. Plus, the addition of the new Necromancer class provides plenty of incentives for old and new players to jump into this engaging PC co-op experience. Divinity: Original Sin – Divinity: Original Sin is a deep RPG experience full of tons of customization, a challenging world, and great lore. The best part is that you can a friend can play co-op on PC so you can tackle the threats that await you together (it doesn’t get any easier, though). Don’t Starve Together – Don’t Starve can be a seriously harrowing experience what with the creeping insanity and the utter lack of food. 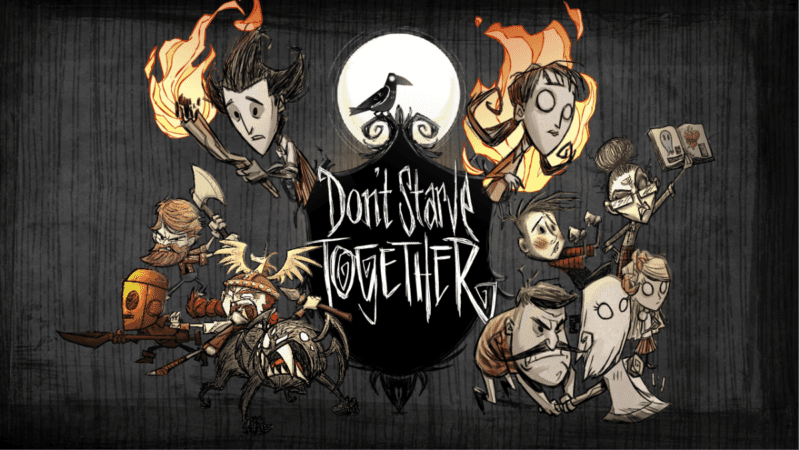 But you don’t have to go it alone thanks to Don’t Starve Together which allows you to vie for survival with a friend. Dungeon of the Endless – Dungeon of the Endless is an engaging roguelike that has you stuck on a mysterious planet fighting for survival and a chance to escape. The game mixes puzzles, with turn-based combat, resource management, rogue-like elements and even multiplayer. You can your friends can explore randomized levels full of threats and crew-members to save (some of which you can unlock and play as in future runs). You’ll need to take advantage of each character’s unique abilities and your wits to come out the other end alive. Dying Light – Zombie games are a dime a dozen, that is true, but not many make for as fun a PC co-op experience as Dying Light. The open world, the parkour, the progressions system, and the creative weapon system all make for a thrilling game that will see thousands of zombies die by your hand. Oh, and if you get out into the countryside, you can also build a dune buggy of death to ride around in with your friends. EVE Online – EVE Online is a MMORPG space simulation that will take over your life if you get in deep. You create your own adventurer and take to the stars and journey through a real, living galaxy full of other players. Everything is affected by those that play such as wars and the market, so it’s not for the faint of heart. It can be difficult to get into, but once you do, teaming up with some other players for some PC co-op can become a rather rewarding experience. 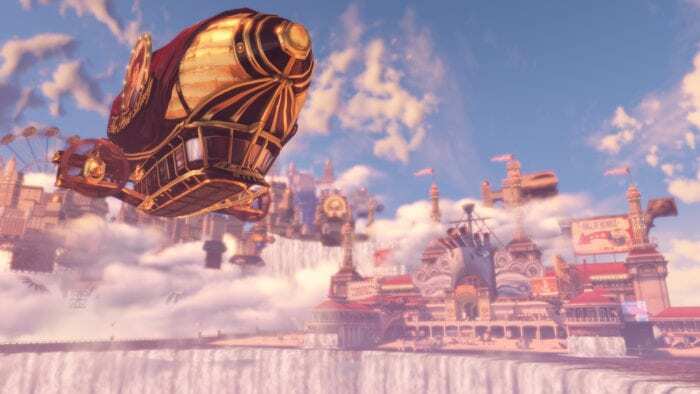 Final Fantasy XIV: A Realm Reborn – Final Fantasy as a series has had its ups and downs over the past decade or so, but XIV is definitely one of the shining points in the series’ history. 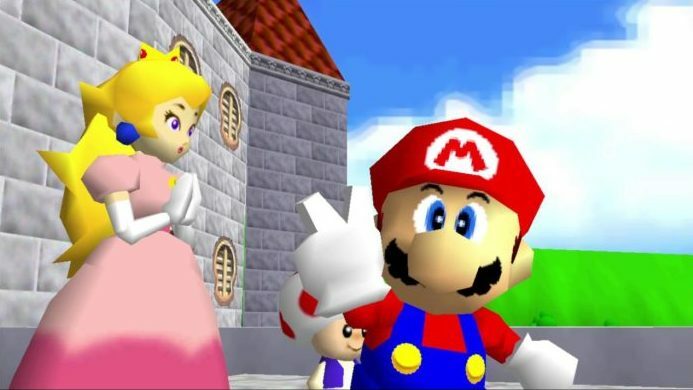 Not only is it a deep, engaging MMO, but its writing rivals that of some of the best entries in the entire series with a great story, and even greater characters. Teaming up with friends is easy, and there’s no shortage of content to enjoy, so dive right in. You can even play co-op with players on PS4, which opens up the possibilities even more. FORCED – This co-op, action RPG is a really fun game on the PC. You can play with up to three other players as you each pick your weapon which you then upgrade as you progress by fighting demons and other beasts. It’s challenging as all heck, but you won’t notice while enjoying yourself. The best part is that this game was built in co-op in mind, so while you can play solo if you so choose, you’ll definitely get the best experience by jumping in with others. Friday the 13th: The Game – Friday the 13th: The Game is really a competitive game if you look at it from the eyes of Jason Vorhees, but for the survivor trying to escape his murderous grasp it’s all about co-op survival. You have to team up to find a way to notify the law, or get the heck out of the camp before dying a gristly death at the hands of this disgruntled, ex camp-goer. Ghost Recon: Wildlands – Ghost Recon: Wildlands is a tactical shooter wonderland, but it really all comes together when you bring in some buddies for some co-op action on PC. You’ll be able to sync your shots, race through the large open world, take down druglords, or just do crazy stunts. Whatever you want to do, you can do it together. GTA Online – GTA Online is the multiplayer mode in Grand Theft Auto V that lets you play with or against other players in the wide open world of Los Santos and its surrounding areas. While killing other players can be a part of it, you can make friends-only sessions where you complete missions, go on heists, or just decide to hunt one another. It’s all up to you, and you have tons of options for how to make it happen. Insurgency – Insurgency is a tactical first-person shooter that uses the Source engine and in some ways is very similar to to CounterStrike. 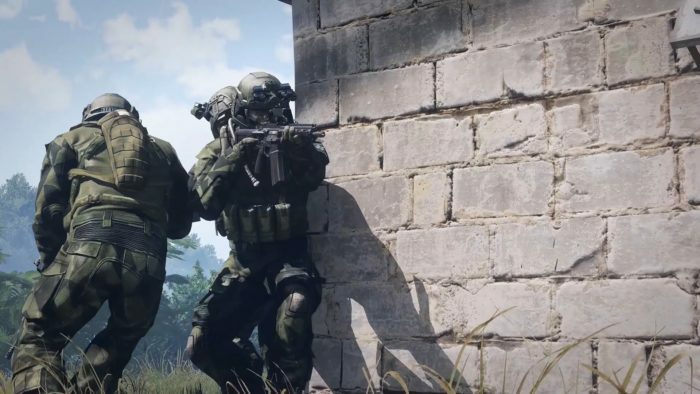 However, we’re here for the co-op modes which sees groups of players do things like survive waves of enemy forces, hunt down elite targets, or take over bases. Bring your A-game because the insurgents are playing for keeps. Just Cause 2 Multiplayer Mod -Just Cause 2 is an okay game, but it became one of the greatest ever when some geniuses decided to create a multiplayer mod for it. Now you can take on the entire world with a friend, destroying cities, uncovering secrets, and pulling off the craziest stunts in the game that have ever been seen. Keep Talking and Nobody Explodes – This is one of the most fun co-op games to release over the past few years and it will really challenge your communication skills. The way it works is one player tries to defuse a bomb while the other players try to guide them through it. It sounds simple, but after a few explosions (and lots of laughter) you’ll see that it’s anything but. Left 4 Dead 2 – This is a PC co-op classic that you may already have sitting in your library. Team up with some friends and take the fight to the zombie hordes as you try to survive an endless onslaught. Lovers in a Dangerous Spacetime – Lovers in a Dangerous Spacetime puts you and your friends into a single ship as you work to survive against incoming alien threats. You’ll have to man different weapons stations and help keep your ship in working order. It’s pretty to look at and intense to play, the perfect mix for a fun co-op game. Minecraft – Mincecraft is available on just about anything that plays video games, but it all began on the PC, and it still thrives there too. Grab some friends and start building your own world or exploring one that already exists. And now you can play with others on Xbox, Mobile, and the Nintendo Switch. So much co-op. Monaco: What’s Yours Is Mine – Heists may be highly illegal, but in the world of video games they’re incredibly fun. Monaco drops players into different locales from a top down perspective as they leverage each of their character’s abilities (such as hacking, picking pockets, and digging) to rob their marks blind before they even realize what’s happening. Necropolis – An action-RPG that’s all about exploring a mysterious labyrinth and collecting treasure? Count us in. You can have friends jump in right alongside you as you deal with random threats such as shifting platforms. spikes, and powerful enemies. It’s fun to dive into, and can become quite challenging. Nex Machina – Nex Machina might possibly be the toughest twin-stick shmup that Housemarque has made to date, and throwing in a co-op partner just makes it all even crazier. Constant explosions, enemies spawning in, different power ups, and high-score chasing will certainly keep you enthralled. Orcs Must Die 2 – There’s just something about Orcs that makes people want to build towers to shoot them down. Orcs Must Die! is built on this feeling and it’s honestly pretty darn fun. Team up with some friends as you set up traps and use special powers and abilities to stem the tide of countless orc enemies. Overcooked – I like to think of Overcooked as Cooking Mama with the difficulty dialed up to 11, and everyone in the kitchen on the edge of sanity. That’s what it feels like to play, and it’s seriously fun. Grab some friends who can handle the heat and dive into the kitchen. Path of Exile – If you love Diablo but aren’t exactly keen on jumping back into Diablo III, Path of Exile is perfect for you. 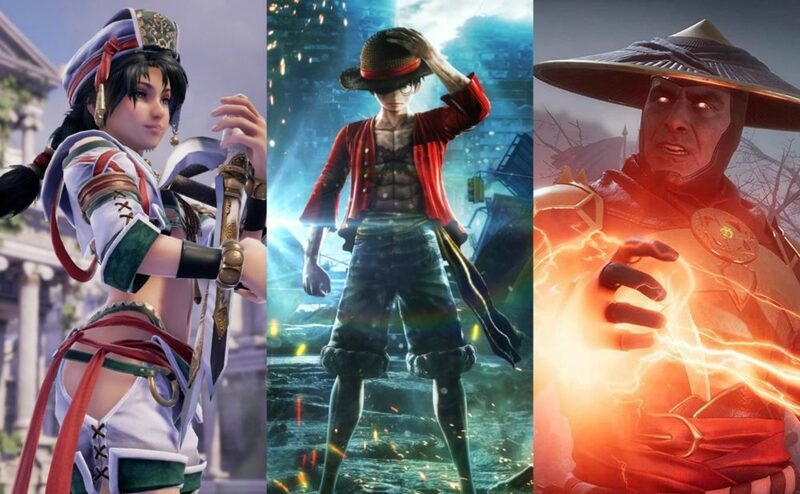 There are six classes to choose from, tons of abilities, and some customization. It’s challenging and fun in all the right ways, and perfect for some PC co-op action. Payday 2 – What could be more fun than grabbing three of your closest amigos, putting on some creepy masks, and robbing a bank in a challenging virtual world? Not much, honestly. Payday 2 is a challenging experience that will test if you have what it takes to keep calm and get out with as much dough as you possibly can. With more masks to unlock and plenty of gear, there’s enough here to keep you dipping back into the action. PlayerUnknown’s Battleground – This battle royal experience is one tough, but incredibly fun, cookie. You drop into the countryside with nothing to your name and must scavenge to find weapons and gear as you fight for the the title of last man standing. Just when you think it can’t get crazier, Duo lets you play cooperatively with another player as you seek to take out the rest of the pack. Portal 2 – Portal 2 is an absolute classic that should be owned by everyone. 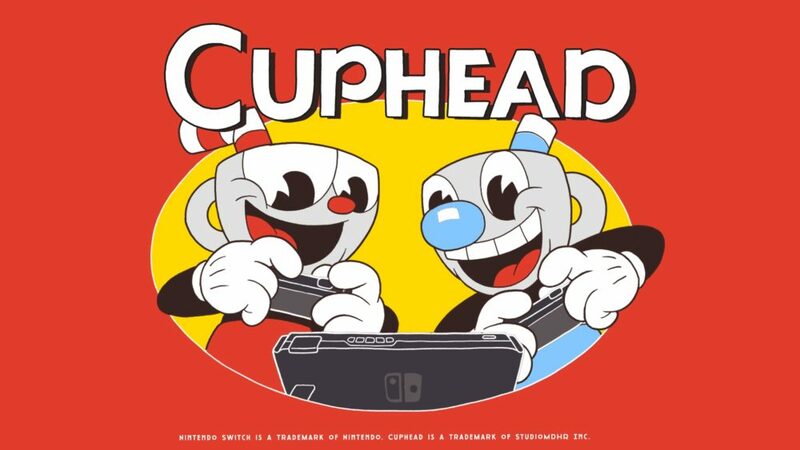 It also has one of the most fun and challenging co-op experiences in PC gaming as you and a pal work to solve various physics-based puzzles, often times killing one another in the process. Rocket League – Sure, you may be good at soccer, but can you play while also driving a rocket-powered car that does insane flips and defies most of the laws of physics while pushing around a huge bomb? Rocket League lets you do just that, and you can team up with friends to take on the computer or the world. Spelunky – This is the perfect co-op game to play if you and your friends secretly hate one another. It takes a lot of care and communication to get through alive, and it can be very rewarding. But a mischievous teammate can ruin your dreams. Don’t worry, though, you can get revenge as a ghost if you’d like. 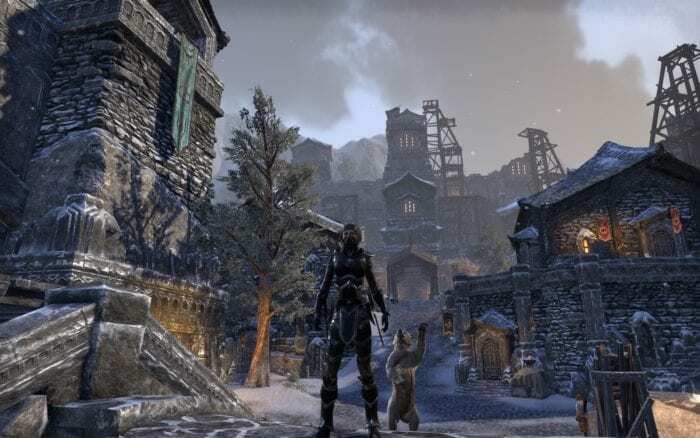 The Elder Scrolls Online – The Elder Scrolls is a deep, immersive series of RPGs, but you can only play them alone. At least, that was the case in the past. Thanks to The Elder Scrolls Online, you can jump into the world of Tamriel with thousands of other players as you explore, complete quests, and fight against a powerful Daedric prince. Oh, and the Morrowind expansion introduces a class that lets you have a fighting bear. That’s more than worth the price of admission. Total War: Warhammer –Total War is a huge strategy game that lets you see how you would fare during a massive battle. When combined with Warhammer, you have all of that strategy tied in with a huge, beloved property that has been around for years. Co-op is a perfect way to enjoy everything that Total War: Warhammer has to enjoy and also a great way to introduce someone to both worlds. Viscera Cleanup Detail – Viscera Cleanup Detail is all about being a janitor who finds his/herself on a ship that just pushed back an alien horde. That’s it. It’s surprisingly cathartic as you mop up blood and throw pieces of aliens into incinerators. You and some friends can work together to make the space station the cleanest it has ever been and even compare your performance. It may not seem like something you’d be into, but trust us and give it a try. You’ll find a newfound love for mops and clean water. Warframe – Space ninjas. That’s the best way to describe Warframe. You create your own ninja, pick the weapons you like (which includes powerful firearms) and go on countless missions. It’s fun, there’s tons to do, and, again, you and your friends can be space ninjas. World of Warcraft – The king of MMOs is still alive and well. It’s a great place to jump in with your friends as you create your characters and become legendary heroes. Or, you can jump in solo and make some new friends and start playing cooperatively with them. Either way, this PC gem is a great place for some good ‘ol’ co-op play. Surviving against nearly impossible odds is all the rage in gaming right now, but it becomes something quite unique when you throw dinosaurs and other massive beasts into the mix. Jump in with your friends as you start out as a naked person with a weird crystal in their arm, and build a defensive empire full of technology and dinos.